COSSIT (Cossitt), RANNA (Rene), Church of England clergyman and politician; b. 29 Dec. 1744 in North Granby, Conn., second son of Rene Cossitt and Phoebe Hillyer; m. June 1774 Thankful Brooks in Claremont, N.H., and they had 13 children; d. 13 March 1815 in Yarmouth, N.S. 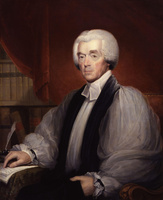 Ranna Cossit graduated from Rhode Island College with an ab in 1771 and then studied theology in England, where he was ordained by the bishop of London early in 1773. He immediately began his ministry as a missionary of the Society for the Propagation of the Gospel at Claremont. As a result of his strong loyalist stand during the period leading up to the American revolution, the local committee of safety had by April 1776 ordered him to be confined and disarmed; he nevertheless refused to sign the declaration of independence of the people of New Hampshire that July. Despite American suspicions of the loyalty of all Anglicans and his own diminished congregation, Cossit remained in Claremont during the war. 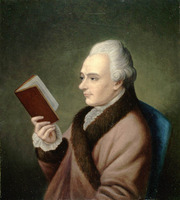 In 1782 he visited Quebec to inform British officials about conditions in New England, and after his return to Claremont he corresponded with British agents and supplied them with American newspapers. After the revolution Cossit sought to interest Governor Frederick Haldimand of Quebec in a scheme for settling New Englanders in the Eastern Townships, but when the governor refused to countenance the plan Cossit sought an appointment in the Maritime provinces from the SPG. In April 1785 William Morice, secretary of the SPG, offered him a salary of £50 to act as minister in Sydney, the capital of the newly established colony of Cape Breton, and later in the year proposed a regular supplement of £50; moreover, the government was to provide him with a salary of £100 to act as garrison chaplain. Cossit accepted and arrived in Sydney on 2 June 1786. Since neither a parsonage nor a church had been provided, Cossit built a parsonage himself in 1787 and the same year began work on a church; named St George’s, it was not finally completed until 1805 at the earliest. He also visited remote settlements such as Louisbourg, Main-à-Dieu, and Cow Bay (Port Morien) and hired the colony’s first schoolmaster, Hiram Payne. Cossit was appointed a member of Cape Breton’s Executive Council on 29 Aug. 1786, and he became more and more deeply involved in the colony’s political affairs. He cooperated with lieutenant governors Joseph Frederick Wallet DesBarres* and William Macarmick, but fell into a sharp dispute with David Mathews*, who became administrator of the colony on Macarmick’s departure in May 1795. The altercation arose ostensibly because Mathews blamed Cossit for his failure to be elected churchwarden of St George’s, but its roots are to be found in Cossit’s support of DesBarres and Macarmick in their disputes with Mathews and his fellow loyalist Abraham Cornelius Cuyler. After the departure of Macarmick, the opposition to Mathews centred around Cossit and James Miller, the superintendent of mines, whom Mathews alleged was dishonest and incompetent. When in the fall of 1795 Cossit, as was his right as SPG missionary, appointed a new schoolmaster to replace Payne and obtained the approval of Bishop Charles Inglis, Mathews tried to block the appointment. Cossit allowed classes to be held in his home, so Mathews had the teacher arrested for debt. He even went so far as to appoint his own schoolmaster, a Roman Catholic. This dispute placed Cossit in the forefront of the opposition to Mathews. During 1797 Mathews contrived to dismiss Cossit’s allies Ingram Ball and William McKinnon from their government positions and, fearing their complaints to the Home Department, had a petition circulated which praised him as a “popular ruler.” In June Cossit and others sent a memorial to the British government demanding the appointment of a new lieutenant governor. This action seems to have been responsible for Mathews’s replacement as administrator by Major-General James Ogilvie that December. Before Ogilvie’s arrival in June 1798, however, Mathews had Cossit imprisoned for three months for a £25 debt which Cossit allegedly owed to Mathews’s son. During his tenure Ogilvie came to the conclusion that Mathews was responsible for the factional quarrels, an opinion shared by his successor, Brigadier-General John Murray*. Mathews’s hostility to Murray drove the latter into an alliance with Cossit and his supporters, and Murray dismissed Mathews and his followers from various offices, replacing them with allies of Cossit. The Mathews faction immediately tried for Murray’s removal, exploiting his unpopularity with the Duke of Kent [Edward Augustus] in Halifax. Murray was in fact replaced, but when his successor as administrator, Major-General John Despard*, arrived in June 1800 Murray refused to surrender the civil command. 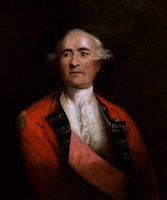 In this stand he had the support of Cossit, while Mathews and his followers rallied behind Despard. Despard finally established his authority in November, and then appealed to the British government to remove Cossit from Cape Breton for the sake of harmony. Cossit failed to regain political power, and after Mathews’s death in July 1800 his supporter Archibald Charles Dodd* continued to persecute the minister. By 1801 Cossit was ready to leave and asked Inglis for a post in Nova Scotia. But by the time Inglis offered him his choice of two parishes in the spring of 1803, Cossit had changed his mind and wished to stay. Continued complaints from Despard finally brought Inglis to Cape Breton in July 1805. After three days of discussion Inglis persuaded Cossit to leave, lest the scandal of his political conflicts should lead colonists into becoming “Methodists, Catholic or infidels.” Cossit formally resigned from the Sydney mission on 18 July 1805, and Inglis appointed him to Yarmouth, where he was inducted as rector of the new parish on 23 Jan. 1807. He shortly began the construction of a church, which was completed by Christmas, and actively ministered to the surrounding settlements of Chebogue, Plymouth, and Tusket. After his removal from Sydney he was not involved in political affairs. He died on 13 March 1815 and was buried at Yarmouth. Everything about Ranna Cossit breathes individuality and vitality of character: his self-devised spelling of his name, his outspoken loyalist stand, his founding of the Church of England in Cape Breton and Yarmouth, and his active role in the politics of Sydney. He began the formal education system in Sydney and was a founder of the masonic order in Cape Breton. Cossit was an activist whose mark on Cape Breton was recognized by the opening of his home, Cossit House, by the Nova Scotia Museum on 29 Aug. 1977. Cossit House (Sydney, N.S. ), Ranna Cossit, letterbook. PAC, MG 11 [CO 217], Cape Breton A, 8; MG 23, C6, ser.1, 6. PRO, CO 217/112–38. USPG, Journal of SPG, 27–29 (mfm. at PAC). Genealogical and family history of the state of New Hampshire: a record of the achievements of her people in the making of a commonwealth and the founding of a nation, comp. E. S. Stearnes et al. (4v., New York and Chicago, 1908), 1. Morgan, “Orphan outpost.” O. F. R. Waite, The early history of Claremont, New Hampshire; a paper read before the New Hampshire historical society . . . at a meeting held at Claremont on September 29, 1891 (Concord, N.H., 1894); History of the town of Claremont, New Hampshire, for a period of one hundred and thirty years from 1764 to 1894 (Manchester, N.H., 1895). Mason Wade, “Odyssey of a loyalist rector,” Vt. Hist. (Montpelier), 48 (1980): 96–113. R. J. Morgan, “COSSIT, RANNA,” in Dictionary of Canadian Biography, vol. 5, University of Toronto/Université Laval, 2003–, accessed April 22, 2019, http://www.biographi.ca/en/bio/cossit_ranna_5E.html.